I started this card what seems like a very long time ago for the sketch challenge that was going on over at My Favorite Things (needless to say, I missed the deadline). Anyway, I had this cute little guy all stamped out and ready to color so I decided to finish up my card even though the challenge is over. And, I'm so glad I did because I love this fun layout. And, there you go - challenge completed...2 weeks later. This card is just perfect, the images are so beautiful and bright! I love your coloring and the inside of course is amazing as well! Too darn cute. 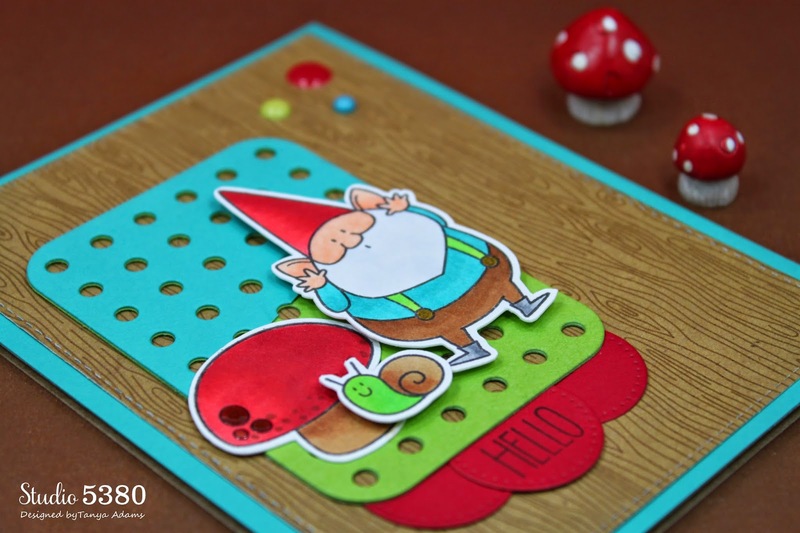 Love the papers, the design and the gnome. Super cute! I love the turquoise and bright red. This just makes me smile. It's such a fun card. I hope things settle down for you soon. I know how it is. Our craft time is important for our sanity. lol Plus we miss your fabulous creations. Such a fun and super cute card !!!!! Love the colors and design !!! Fabulous card and so adorable. Understand the life getting in the way thingy - hubby took a week off this week and he's in the way of my crafting LOL! 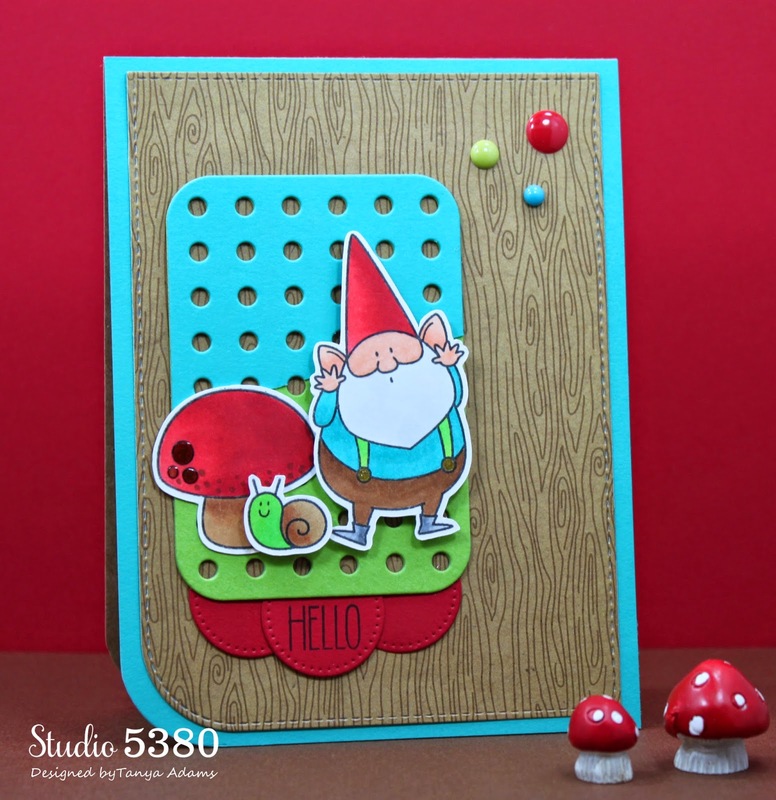 Such a super cute and fun card! 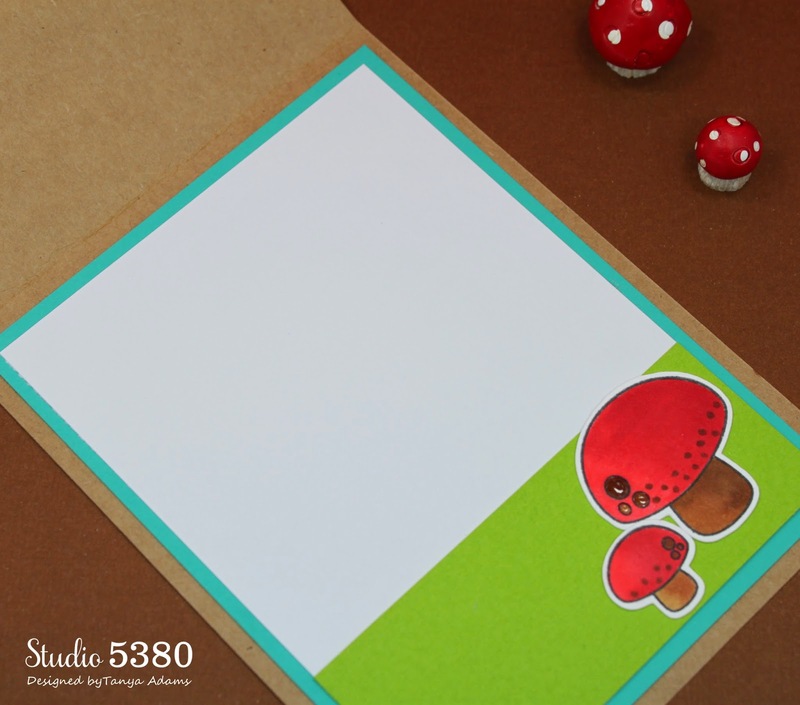 I always love the color combo that you use on all of your projects! This is so super ADORABLE!!!!!!!! 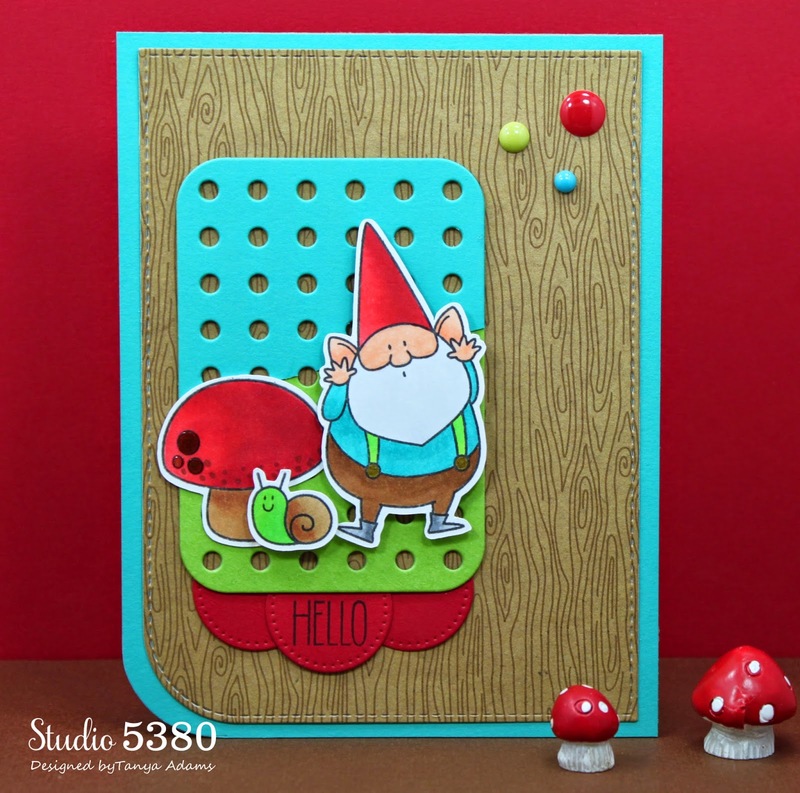 LOVE that cute gnome!! Totally understand the whole life thing......BUSY BUSY over here as well!